The garden will be ‘open’ to visitors as part of our Open Weekend in just over three months – scarey! 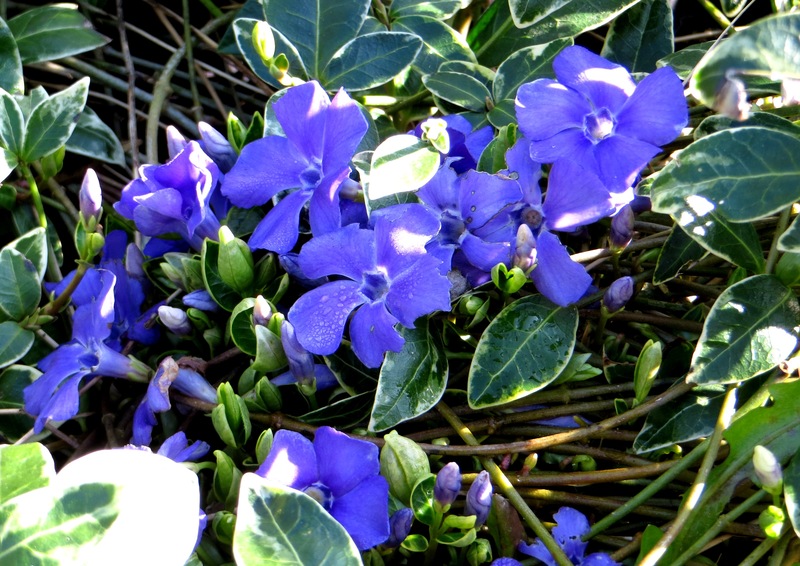 Today was a beautiful day in Suffolk and I have been digging out weeds and cutting back the dogwoods. 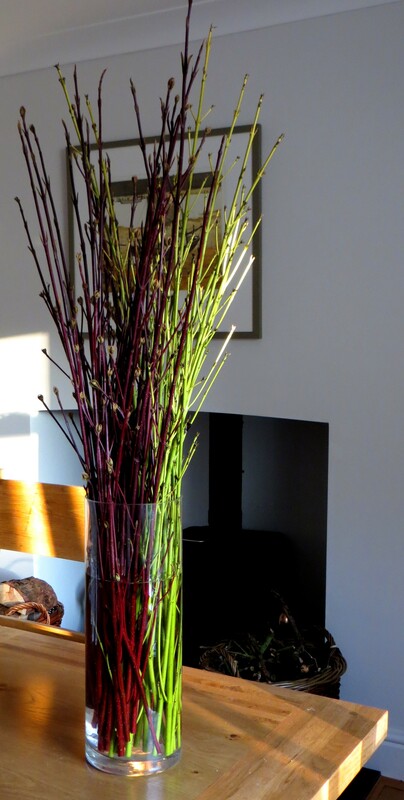 I couldn’t bear to throw away the beautiful red and yellow branches and so they are side by side in a glass vase. The bergenias are a deep maroon; the brunnera ‘Jack Frost’ are starting to develop leaves; the Japanese anenomes are also starting out again – but the leaves look rather yellow. I have applied bonemeal and perhaps need to add some general fertiliser? There are buds on the hydrangea ‘Annabelle’ and this year I have just dead-headed, rather than cutting hard back. 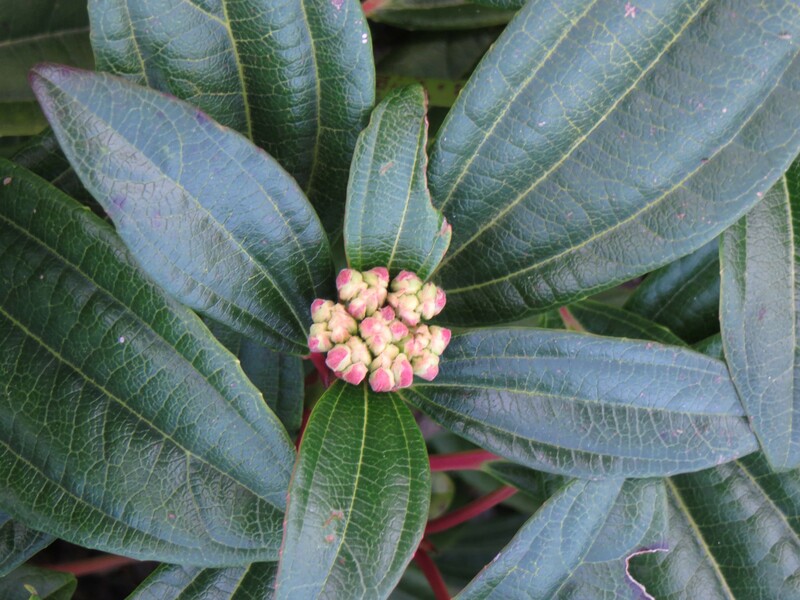 The viburnum compactum buds are swelling and the vinca is flowering – we are getting ready! Thank you! Will the bonemeal cure the anaemia? Or do I have to use a general fertiliser as well? I think the anaemia could be down to water logging. I would not overdo the feeding until things dry out a little, but a general fertiliser will also provide for the foliage, whereas bonemeal will encourage strong roots. Thank you – I will leave the anenomes to the sunshine and see what develops. I have applied some bonemeal, and manured, and I can see lots of small new plants so they can’t be too unhappy!